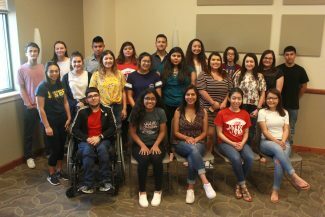 Newman University celebrated another successful semester of the STEM Scholars Program with 23 high school students and their families on Wednesday afternoon. Through the STEM (Science, Technology, Engineering and Math) Scholars Program, area high school students come to the Newman campus once a week to explore different areas of STEM, getting hands-on experience and allowing them an opportunity to discover if they want to learn more and eventually pursue a career in one of the many STEM fields. Using science to make ice cream, conducting explosive experiments, listening to STEM professionals and having fun with math were just some of the ways high school students spent their time during the spring 2018 semester. Associate Professor of Biology Stacy Jones, Ph.D., has been organizing the STEM Scholars Program activities since its founder, Professor of Biology Surendra Singh, Ph.D., retired. Jones said she is loving every minute of it — especially watching the students grow throughout the semester. 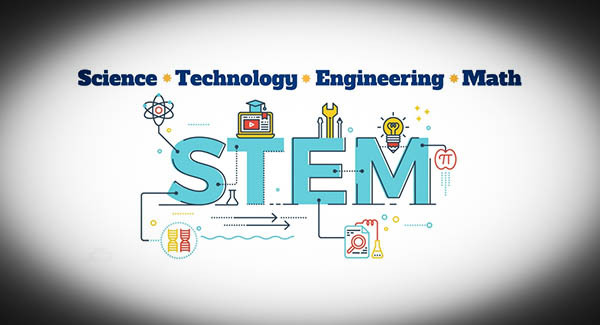 “One of the goals of this program is to just help students realize the soft skills within the different STEM fields and how to use those skills to work as a team,” said Jones. 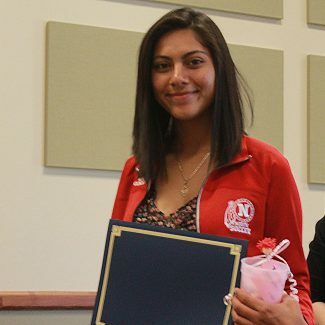 The celebration ceremony, during which participants are presented with a special certificate and gift, has become a traditional ending to the semester-long program. Isaiah Gayden, a freshman at Maize High School, said he heard about the program through a counselor at his school. He heard the name Newman and went straight to his mom to ask if he could try it out. Gayden said he leaves the program with a higher amount of excitement and curiosity about the different STEM areas and will definitely continue to explore the options for his future. Gayden’s father, Patterson, is an English teacher at Wichita West High School. He said he saw a bit of change in his son throughout the semester. Maria “Izzy” Lira-Rodriguez is a sophomore at Wichita North High School. This is her second year with the STEM Scholars Program. She said coming back was important to her because she plans to be a doctor someday, and learning all she can now is only going to help her later. She is currently a part of the bio-med program at her high school, already learning about what college could be like and preparing for the world of higher education. She said she really enjoyed listening to the speakers throughout the semester and learning about what it’s like out in the real world. She said coming to a college campus each week was also a great part of the semester.